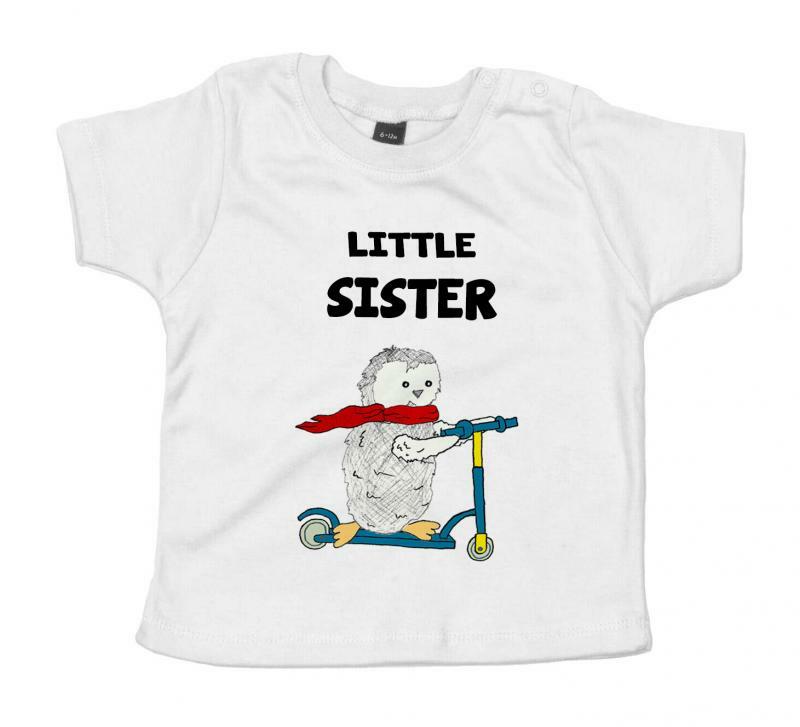 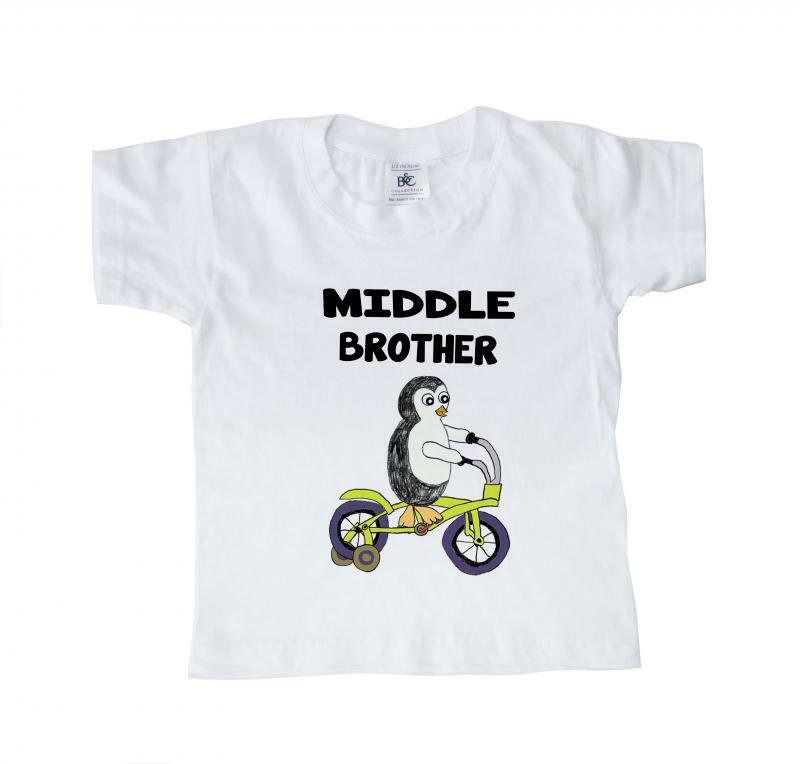 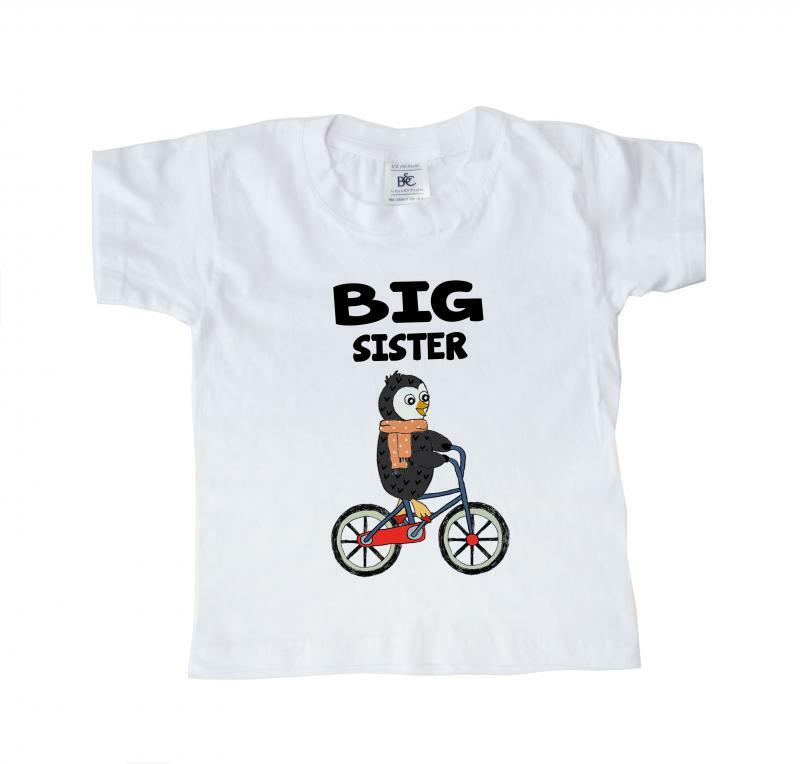 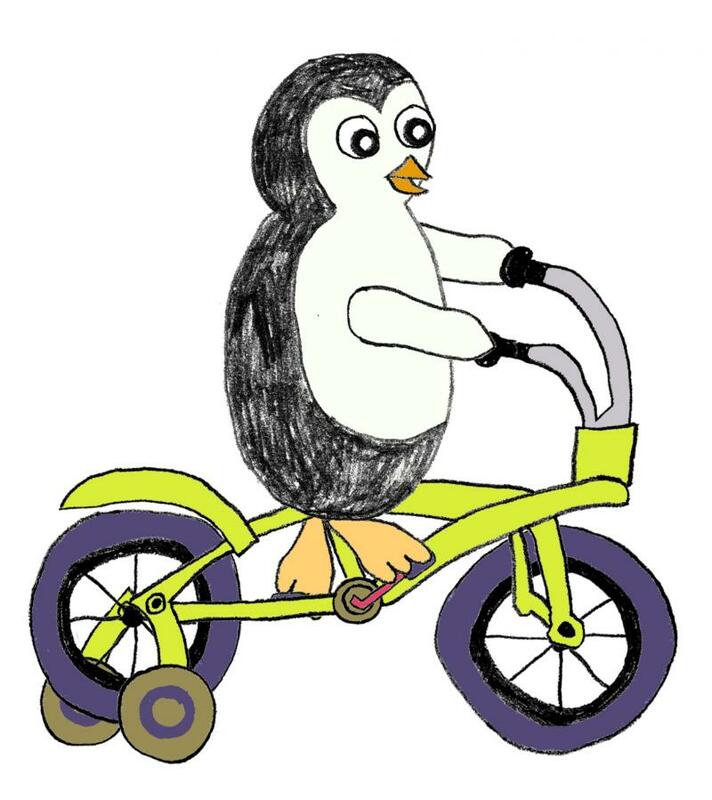 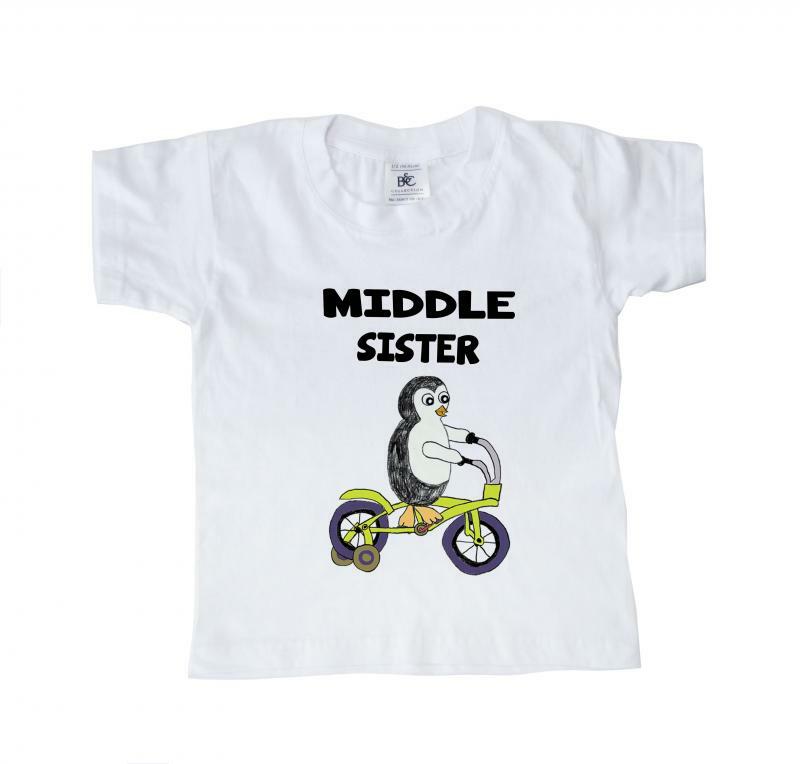 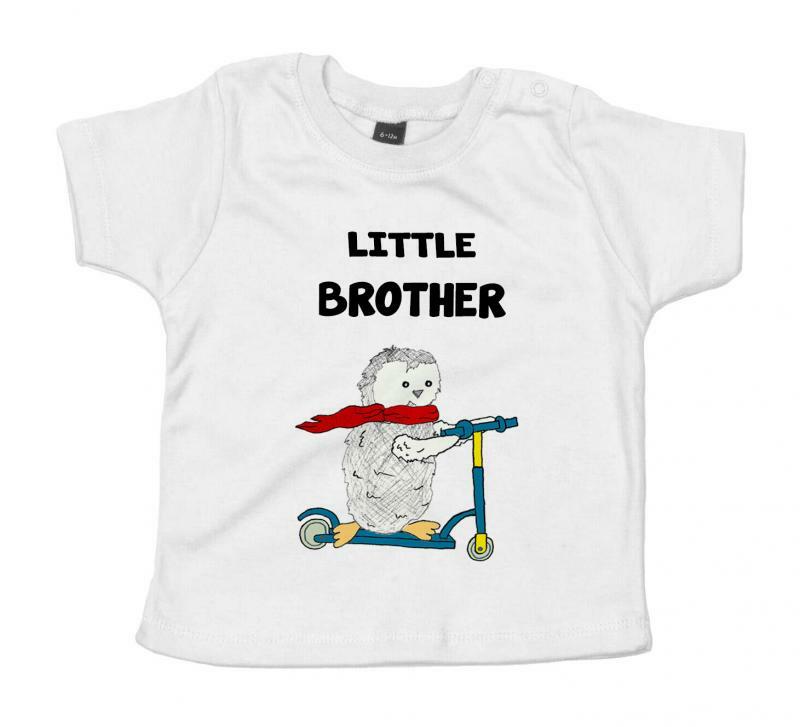 Matching Kid's / Baby T-shirts fearturing big, middle and little brother or sister. 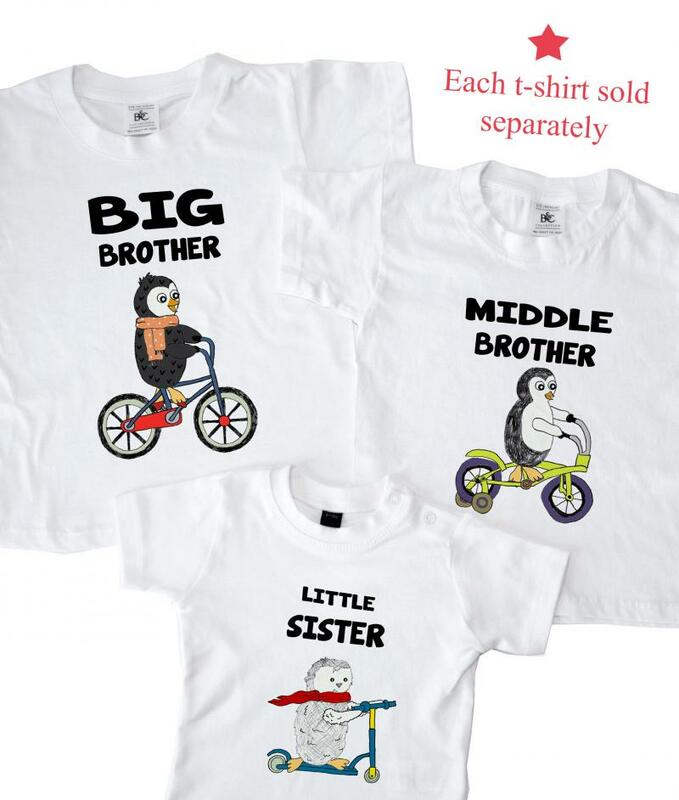 Each t-shirt is sold separately so please choose your selection and size from drop down menus. 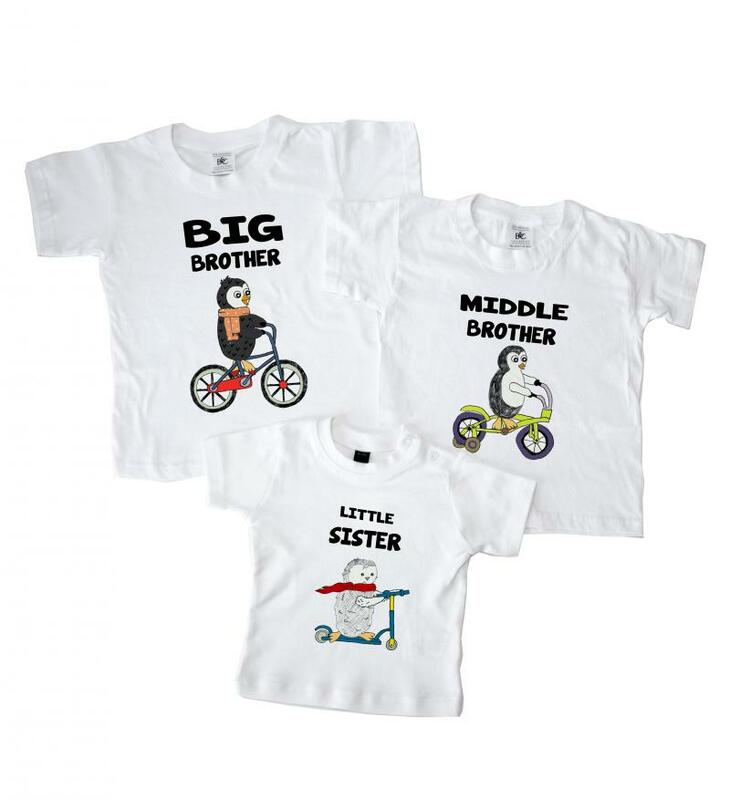 Designed by us and printed In-house.